Last year I was part of The Sketchbook Challenge, a blog created by Sue Bleiweiss devoted to challenging its readers to keep a sketchbook. You probably already know that Sue took her concept and authored a great little book (recently released by Potter Craft), and I was included! The bulk of this book features sketchbook pages of 24 mixed-media artists, each working to a theme, and then taking the sketchbook pages to a finished painting, quilt, or artist book. It also includes text which each participant contributed to walk the reader through their process. 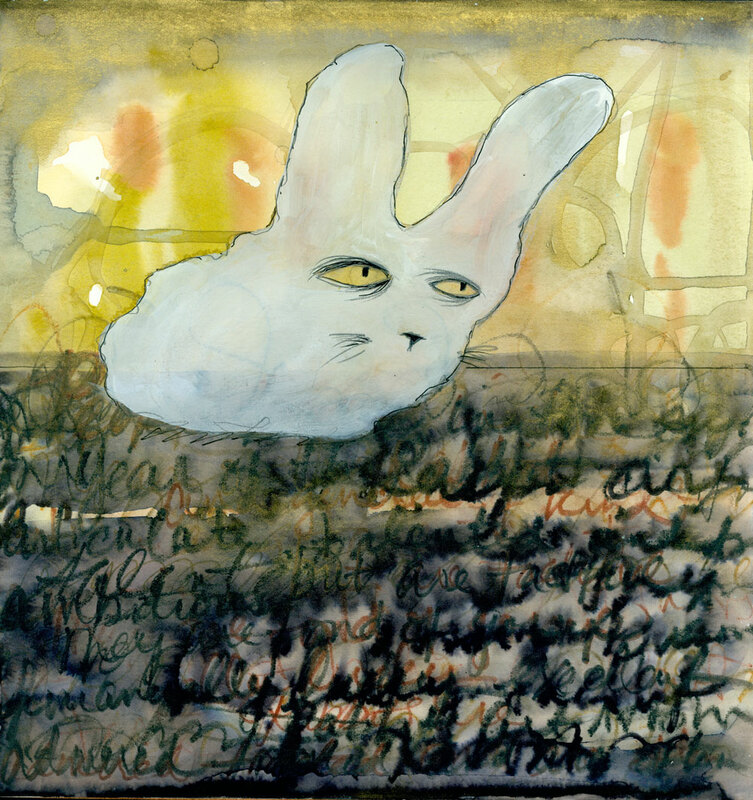 Sad Bunny, watercolor, gesso, pencil on wood. 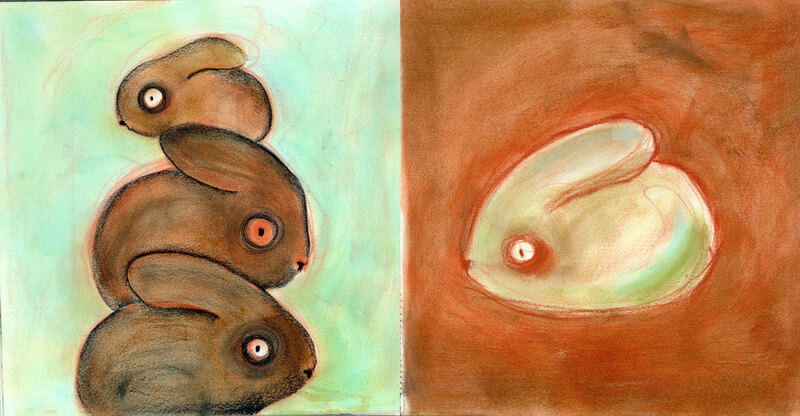 Before painting, though, I made a 12-page medium-sized sketchbook with Fabriano hot press watercolor paper (140#), and filled the whole thing with different interpretations of rabbits. I was just trying to explore different media and ideas mostly, as well as draw from photo references so that I could get a better feel for how rabbits really look! It was really fun to work with a theme in mind over so many pages — a way of working I don’t usually attempt (thanks, Sue, for the challenge!). Sue (a.k.a. “Sueperwoman”) has lined up a list of very generous sponsors who have donated prize packages (worth over $1100!) to give away during the hop. (Joggles.com is a site which hosts online classes.) I will choose a winner randomly on Sunday, July 8th. 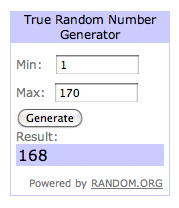 And the winner out of 170 commenters is #168 — artexpectations! Thanks to everyone who commented (and said such nice things about my rabbits)!! And don’t forget to check out these other blogs, where giveaways are already happening! I love all your rabbits, Carla. It would have been too hard for me to choose. I am getting overwhelmed (in a positive way) by all the possibilities out there for getting my art going. Thanks for all you’ve done for me. Your rabbits look so warm and fuzzy, cuddly Carla, love them. I love all of your rabbits, and I wonder how they are a symbol for you. I always think of the Medicine Cards discussion of Rabbit as a symbol of fear, but they are so much more than that. Thanks for letting us have a peek at your process. Great drawings, really enjoying blog. As a new comer I have spent a lovely day trawling the back posts. Hi Carla! I just love reading your blog and the rabbit is fab! Hi Carla! I love the two pages with rabbits and text, especially the dark line crossing and delimiting the two rabbits in an opposite way: great construction! Hi Carla, I love the rabbit theme. At this very moment in time I am saving up to take one of your online courses. I have your last book that I dip into over & over again. Wonderful pages, fun and interesting! Your blog is a place I go to get happy. I’ve made one painting from your exercise suggestions and I’m grateful for your help! Your rabbits rock! It’s amazing how you get so much feeling into such simple drawings. Love your work! So happy to have been introduced to your blog through the blog hop! I’d love a chance in the giveaway. Great rabbits. Yours are cute and fuzy. I grew up with jack rabbits who are not so cute and fuzy. I, too, have discovered the wonder of working/playing in series. For one thing, it can be a great assist in coming to understand whether or not an idea has enough juice to become a major focus. I love all your bunny sketches!!! Love those bunnies. Thanks for the opportunity to win ! I love the different styles of rabbits that you’ve drawn. I always thought an artist would find their ‘voice’ and just do that. Thanks for showing me differently. I love the way so many different interpretations of a subject can come from one artist. Very cool! I have the book and it’s fascinating! Love your rabbits. Thanks for a chance to win. Love all of your animals and interpretations. Your work is inspiring! As one of your students, I can attest to your excellent method of teaching. I learned much about being freeeeee……. I am utterly amazed and truly thankful for the diverse group of artists out there that keep the creativity alive with their different ideas. I always love your drawings! You make me want to pull out my underused sketchbook and try again! Thanks. I love all of your bunnies! I love your classes too, by the way! I always love your rabbits. I like the idea of choosing a symbol and exploring it in different ways. I just discovered your blog yesterday and I am so glad I did! Love your art! Love the rabbits! Love the bloghop.! Each page in your sketchbook sparks of creativity. Love your bunnies Carla – they would be a great addition to the book. The blog hop is such a great way to get the word out about this cool book! Who wouldn’t want the chance to win fun prizes too! I agree with everyone, your rabbits are special! I wish I had your whimsical talent that captures the spirit of these wonderful creatures. Congratulations on the book! I just love bunnies and your versions are spectacular. Love this blog, look forward to it every day! Very creative. Love the sketchbook. You are inspiring. I love all your rabbits – your sketches always look so loose and free although I know that they take a lot of work and practice. Beautiful work. I love looking through your work and archives too. Your figures make me smile. Love the bunnies, especially the alert looking one with the long ears! Great way to launch the book with this wonderful blog-hopping! I enjoyed the different ways that you incorporated text offering the viewer direction into the symbolism aspect of the rabbit in a number of the sketches. Why was it that you opted not to do so in the final project? Love the bunnies..so very cute. Would love the book! Bunnies are so sweet and yours have such character. This blog hop has been a lot o fun. I am enjoying and definitely being challenged by the sketchbook challenge! The book looks fantastic! your blog is such a treat…i look forward to every new post! I love the little bunny with the tall ears!! Thanks for the look into your process. Love your bunnies Carla! Can’t wait to get the book!! I love the idea of selecting a theme for your sketchbook. I have several blank journals and lots of supplies, but haven’t yet taken the leap. Thanks for the inspiration! Always inspired with your art Carla. 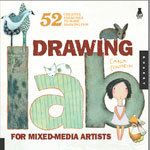 I use your book (Drawing lab) as a resource when I teach art to kids! They love it!!!! Love you work. Looking forward to your new books later this year. I love the range of sketches that you created before moving to your painting. I am waiting to buy (because I am working thru a book right now) but I swear this particular book is in my Amazon.com cart! It’s one of the options that popped up when I was looking for creative drawing books! I am so happy you are in it!! That bunny illustration is breathtaking!!! I should start a sketchbook! Thanks for all you shared about this! Most interesting blog post about The Sketchbook so far! Lovely art on your part, too! Thanks for sharing your process. the bunnies are very cute. Loved seeing the rabbit pages. Thanks for sharing. What a great way to work on a series.. love your bunnies. It’s always fun to see your fun characters. The bunnies are wonderful. I love your rabbits! Thanks for a chance to win this book! Your work is fabulous… Drawing Lab spurred me into action! Thanks for the chance to win! Love your bunnies. My sons and I just signed up for your three summer-camp classes. We’re so excited. Amazing! I had just decided to purchase this book after seeing it on Amazon. Did not realize you were in it as well. Double joy! He’s a cute bunny. We raise them too. It’s fun to see all the ways you played with the bunnies. I love challenges that make me stretch. Why am I not surprised one of my favorite artists is included in this book? One way or another, this book is going to end up on my bookshelf! this bloghope is providing a wealth of information on so many talented artists like yourself – Thanks! The book looks great and what a lot of generous sponsors – your rabbits are really cute too! Love your rabbits!! Great looking book too! The rabbits as a theme were a nice choice. I like the blog. i especially like the bunnies with writing on the background. lovely! love,love,love your bunnies! 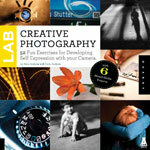 I cannot wait to get this book.Thanks for the chance to win the GC for a class at Joggles! Your work makes my heart happy and puts a silly grin on my face. Love your bunnies and all your work!! Can’t wait to get the book! Thanks for sharing your different interpretations of rabbits with us–nice to see some of them that did not make it into the book! Thanks also for offering a giveaway. Such a great assortment of bunnies – every one of them made me smile! Now this is a great idea — themed sketchbook. Thanks for the bunny hop and the giveaway. Would love to win. Hand in a cast right now, but itching to do something artsy. Thanks for the opportunity. I’ve enjoyed your blog and your work ever since taking the Faces101 class! absolutely love all your bunnies. what a great idea to create a sketchbook for the challenge. a great way to warm up and have more drawings/paintings to work from and experiment with. What a great blog-hop – can’t wait to see the book. Love the bunny symbol. The Rabbit is a symbol of fertility – perhaps meaning you have a rich, fertile resource available to you in your imagination and ideas for your art. 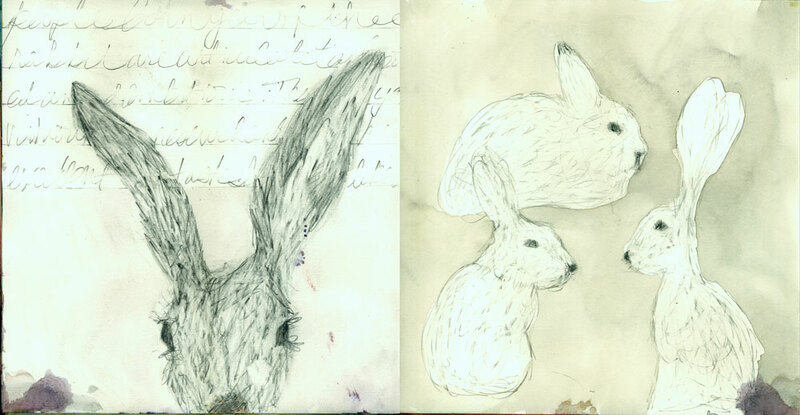 love all the rabbits – my 8 year old son particularly liked looking at them with me. thanks for the opportuniyt. I love seeing your creative process. By the way, your Art of Silly class in 2011 started me on this journey. Congratulations on your contribution to the Sketchbook Challenge Book. I love their blog and turn to it often for inspiration. Great blog hop too! It would be nice to win one of the fabulous prizes. 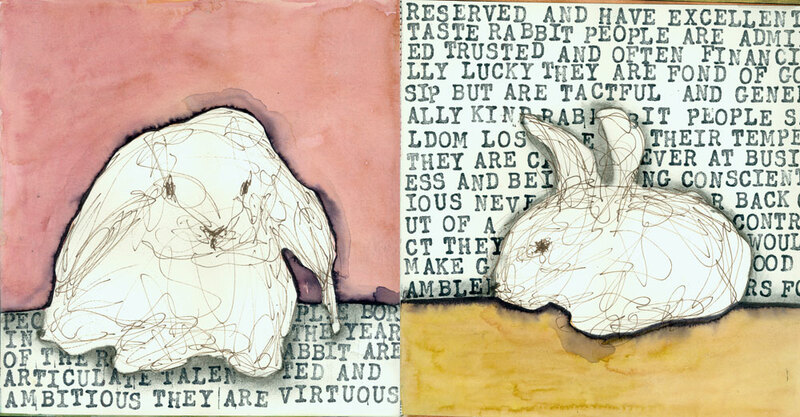 And lastly, I just love your two bunnies with the text in the background! I really loved that you really felt for the bunnies personalities and traits! It wasn’t just text but was really important to the subjects character! Love it! Love your rabbits! Now I’m off to check the other sites! Your bunnies inspired me to wonder what I’d choose for my first sketchbook theme, and I do believe it would be geckos! I love how you used the text behind your bunnies! Just received this book last week. It’s one to devour slowly as it has so many wonderful, wonderful ideas. LOVE your bunnies. Thank you so much to look inside your process. 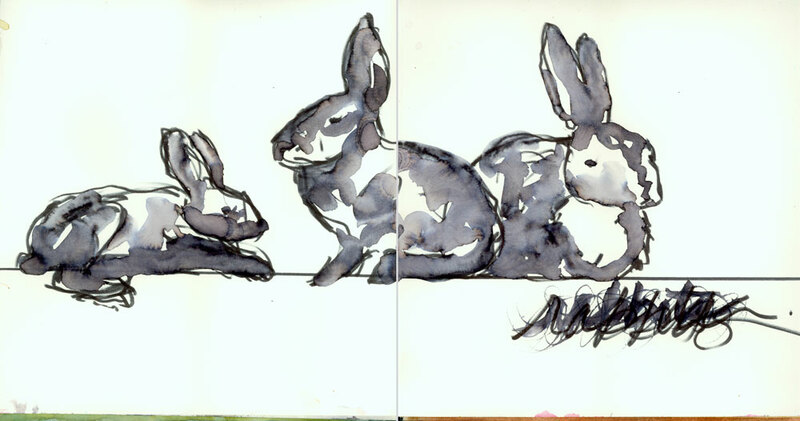 Loved the b&w watercolor bunnies! I love the classes I saw here! I love your whimsy.! This is a comment on your blog. This is not a pipe. Or an elbow. Love your bunnies. What a great symbol for you. Your wabbits are wonderful! Thanks for always being an inspiration and for your great Drawing Lab book. Like the loose flowing feeling of the watercolor bunnies! What a cute bunch of bunnies. I absolutely love the rabbits! I just finished my first class Art 101. Learning how to draw still lifes and nature. I loved it. I now keep a sketchbook with me. I always love looking at your website! It’s such an inspiration!!!! 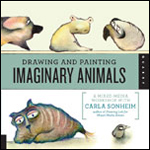 Hi Carla, I love the many ways you came up with to draw rabbits and the simplicity and the details. Once I’m drawing, I love it…but it’s hard for me to sit down and allow myself the time to draw. That’s why I can’t wait for you to come teach at Art Camp for Women in October! Love the rabbits – and the different styles you used to create them. Fabulous rabbits! And thank you for the opportunity to enter into this give-away! I remember when I was in school instructors seemed set on trying to get us to do series, and it still doesn’t work for me. I’ll have to try this, it looks so fun! I love the rabbits! Well really I love all of your work…. always an inspiration. Thanks! and yes I of course would love to win the give away. I have two pet rabbits. I love how you portrayed all the different styles of bunnies. Love this idea of a blog hop. I am finding so much inspiration, I can’t wait to start having fun! Your bunnies are so sweet! Can’t wait to see the book! I appreciate other artists sharing & encouraging so many. Love all the different bunnies! Especially the shape with the sketched in bunny features –> simple and yet you captured the bunny perfectly! Your bunnies are very moving. All aspects of Sketchbook Challenge are inspiring and encouraging. Thanks for your role in it. I love all your work and the bunnies are cool! I love your work. You make everything look so easy. Your rabbits are great! I can’t wait to see this book. Adorable! We have a baby bunny living in our yard. Painted ones at least stay still. I love the idea of a sketchbook entirely devoted to a single subject and all the sketching possibilites…why didn’t I think of that?! Thank you for opportunity to play along in your giveaway! I really like the rabbits with the text. A fun project that I probably wouldn’t do without some poking either. I too like the sketchbook devoted to a single subject. really lets you focus over a period of time. These rabbits are fabulous!! LOVE them all! These look great. I can’t wait to see the book. love your bunnies, especially the long-haired jack-rabbit. Thanks for the giveaway! Thanks for your blog and the continued inspiration to create. I’ve never been successful at creating a regular sketchbook. The idea of making a short book on one topic or idea does really appeal to me. 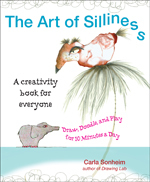 Thanks, Carla, for the nudge towards doing a sketchbook. Great work with the journals and so inspirational! I’d love to win a Joggles voucher, thanks! Count me in amongst the bunnies. I really enjoyed seeing the sketches of your bunnies on the blog and am looking forward to reading your article in the book. Just thumbing through it is so inspiring. Thanks so much for sharing your ideas with us. This book looks like just the thing to get my creative juices flowing! Hi just love those bunnies, They are so cute. Love to see them in THE book. Just this morning I was reading an article on Hares and Myths so interesting and really fascinating… Better get out my hares foot for luck! Here’s to the winner and thanks to the sponsors. Heather B Cape Town South Africa. 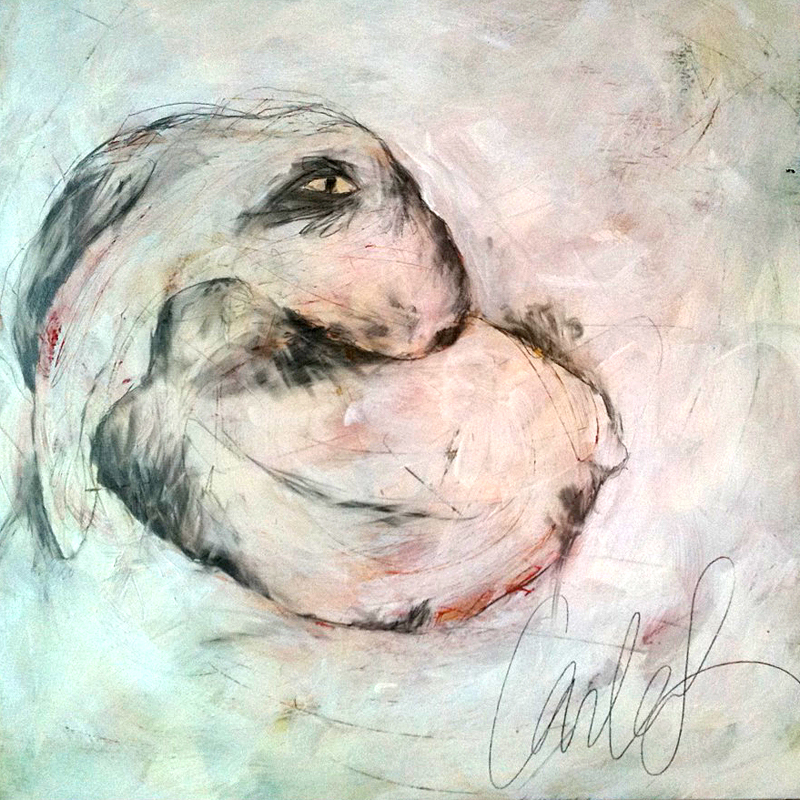 Hi Carla… what terrific sketches and the bunnies- fun! So enjoy seeing all of your new work. Hoping that you enjoy reading all of these many comments and I just received my copy of the book, absolutley terrific. Thanks for participating! I really like how different they all look from one another – and how you’ve incorporated the text and alternative types of backgrounds – lovely! Love all those bunnies, and they all look so different! What an exciting new book too, one ill have to get. Sweet bunnies. Thanks for the inspiration! What a great blog hop – I’m loving all the art, the ideas, and the suggestions and comments. And I can’t wait to see the book. Oh, how fun! Love the bunnies! Love your bunnies,Carla1 Though I’m new to your newslatter, I’ve had your Drawing Lab for quite a while. It’s great fun. Thankyou!! What a great reminder of how to jump start a new project. Sketch for a week on a theme then buildout from there. Thanks for all the great tips! Love you! Been using your Drawing Lab book for a while, bought it for myself and got my library to order it also. I teach little kids art in my home and use the projects in your book often… so… THANKS! This book looks wonderful also – great work. It’s always fun to peep into someone else’s sketchbook, kinda like reading someone’s diary! Those rabbits are so cute, your imagination is endless Carla! But my favorites are the typed words ones and the ink ones….and the others of course! I would love to see the book too. What a great idea, having a theme. I have The Sketchbook Challenge on my wishlist at Amazon.ca. It probably won’t be long before I order it. Your bunnies are so cute. My favorite is the one with the partial face and the ears sticking straight up in the air – even though it didn’t make it into the book. I have your book, by the way and love it! !